Sundays are my favorite days of the week. They are for relaxing, snuggling, eating a proper breakfast, having a ton of fun, and maybe, just maybe, doing a little bit of work. Ever heard of the Proverb "A Sunday well spent brings a week of content" - That is a mantra I like to live by! If I am stressed on a Sunday, I may be stressed all week long. So every Sunday I try to relax, do something creative, eat well, laugh, and do something productive. This past Sunday was a very productive and relaxing day. I woke up early and made chocolate chip Mickey Mouse pancakes with bacon because I love Disney and I love breakfast. Then my boyfriend and I did some grocery shopping and meal planning for the week (because if we don't plan our meals, we eat out wayyy too much)! 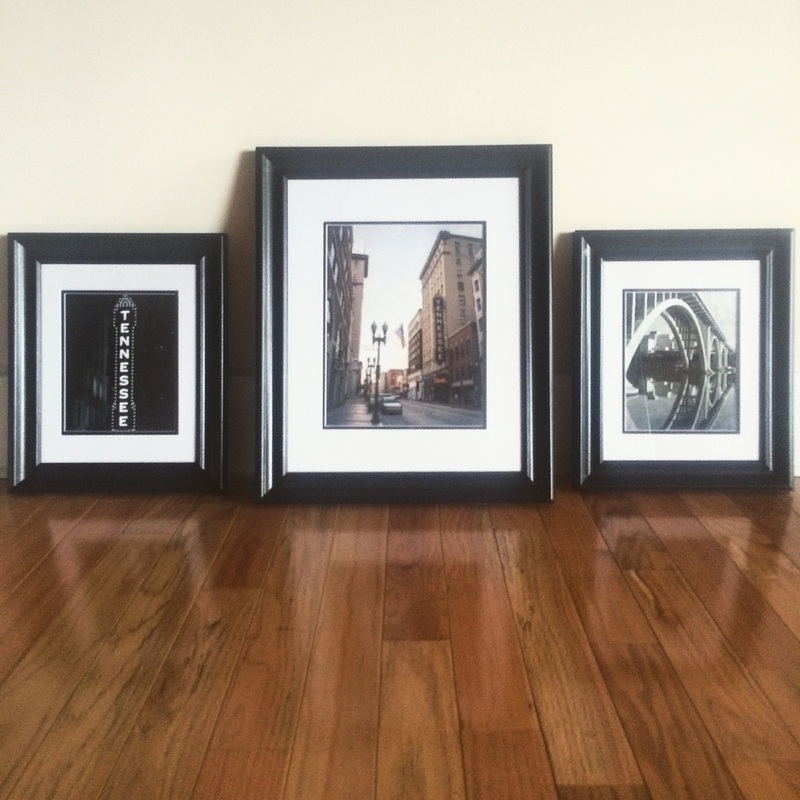 After putting the groceries up I framed a few of my downtown Knoxville photographs to donate to a student art show and benefit called Budding Creativity. The show features both student art and local artist's pieces and the proceeds go to an underprivileged local school in need of art supplies and to a college scholarship. I had to drop off the pieces downtown anyway, so Phillip and I decided to make a fun day of it. I needed some good pictures of myself for my student showcase magazine but couldn't find any recent non-Disney pics. It's hard to get good pictures of yourself when you're usually the photographer! Luckily, Phillip agreed to help me out! So after dropping off my photos, we scouted out some cool locations in the Old City and on Gay Street. Phillip took a little warming up to get used to my clunky DSLR, but the photos he took came out really well I think! After about thirty minutes of posing and not knowing what to do with my hands (I'm always so awkward in front of cameras), we decided to break for some Soccer Taco. Chips, salsa, queso, ceviche... and a pitcher of margaritas because why not? As we planned out the rest of our week and enjoyed the break from responsibility, we drained the pitcher and the cheese dip. We decided to wrap up the photos and do more another time since the weather was supposed to turn rainy and gross. I took a quick nap before starting on my XML homework. Four hours and a lot of frustration later (schemas are hard! ), Phillip made me some delicious steak stir fry for dinner. He is seriously a great cook! The night ended with wine, cookies, and Doctor Who episodes. It was a pretty great Sunday if you ask me! I woke up this morning feeling refreshed and ready for the busy day ahead of me. I'll be taking pictures tonight of my last Le Tote outfits and plan to have my review up on Wednesday! I may even add in a room tour if I clean up my desk and dresser! Hope you all have an awesome Monday, talk to you soon!